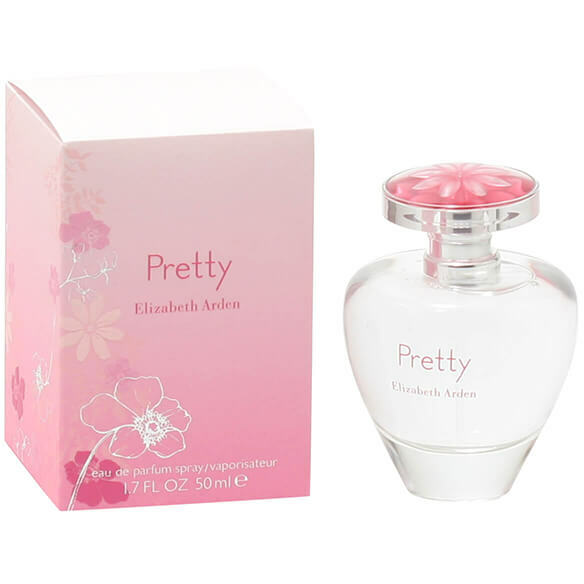 Pretty by Elizabeth Arden is a blend of citrus fruits, peony, iris, musk and woods. It's feminine, clean scent will make you irresistible. Wearable anytime of the day. Pretty lives up to it's name. Features top notes of Peach, Orange Blossom and Mandarin, middle notes of Star Jasmine, Peony, Iris and Petalia, and base notes of Musk, Amber and Jacaranda Wood. And EDP spray. 1.7 fl. oz.